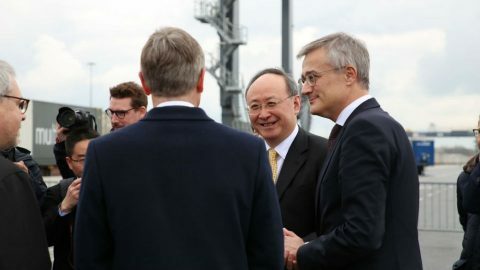 CFL multimodal and Chinese operator Chengdu International Railway Service (CDIRS) have jointly launched a combined train between the Intermodal Terminal of Bettembourg-Dudelange (Luxembourg) and the Chengdu Qingbaijiang International Railway Port (China). 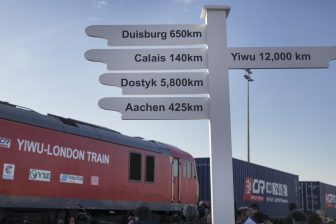 The first train left Luxembourg on Thursday 4 April and is expected to arrive in Chengdu on 19 April 19. The train is operated by CDIRS, in collaboration with RTSB and CFL multimodal. The objective of the partners is to run the train on a weekly basis by mid-2019, and to offer door-to-door solutions to their customers. Upon arrival in Luxembourg, the containers are delivered to the final customers by road or by rail through the daily combined train shuttles to Lyon, Le Boulou and Barcelona, Trieste (with ferry connexions to Turkey), Antwerp, Zeebrugge and Gent (with ferry connexions to UK and Scandinavia). 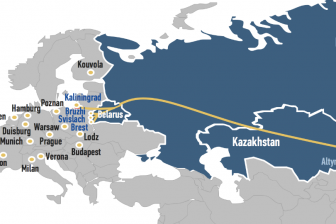 The intermodal terminal Bettembourg-Dudelange is also connected to Paris since March 2019. In China, CDIRS offers first and last mile to major economic centers as well as a comprehensive set of logistics services. 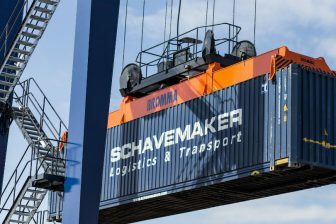 “This new offer distinguishes itself from existing ones, as it integrates, from the very beginning, the concepts of door-to-door services and of a dual hub strategy supported by two well connected intermodal hubs in Europe and China”, CFL Intermodal argued.